I am thrilled to announce the next big event in the Ubuntu calendar: the UbuCon Summit, taking place in Pasadena, CA, in the US, from the 21st to 22nd of January 2016, hosted at SCALE and with Mark Shuttleworth on the opening keynote. UbuCons are a remarkable achievement from the Ubuntu community: a network of conferences across the globe, organized by volunteers passionate about Open Source and about collaborating, contributing, and socializing around Ubuntu. The UbuCon at SCALE has been one of the most successful ones, and this year we are kicking it up a notch. Enter the UbuCon Summit. In discussions with the Community Council, and after the participation of some Ubuntu team members at the Community Leadership Summit a few months ago, one of the challenges that we identified our community is facing was the lack of a global event to meet face to face after the UDS era. While UbuCons continue to thrive as regional conferences, one of the conclusions we reached was that we needed a way to bring everyone together on a bigger setting to complement the UbuCon fabric: the Summit. The Summit is the expansion of the traditional UbuCon: more content and at a bigger scale. But at the same maintaining the grass-roots spirit and the community-driven organization that has made these events successful. We will also have two tracks to group sessions by theme: Users, for those interested in learning about the non-tech, day-to-day part of using Ubuntu, but also including the component on how to contribute to Ubuntu as an advocate. The Developers track will cover the sessions for the technically minded, including app development, IoT, convergence, cloud and more. One of the exciting things about our community is that there is so much overlap between these themes to make both tracks interesting to everyone. All in all, the idea is to provide a space to showcase, learn about and discuss the latest Ubuntu technologies, but also to focus on new and vibrant parts of the community and talk about the challenges (and opportunities!) we are facing as a project. In addition to the support and guidance from the Community Council, the true heroes of the story are Richard Gaskin, Nathan Haines and the Ubuntu California LoCo. Through the years, they have been the engines behind the UbuCon at SCALE in LA, and this time around they were quick again to jump and drive the Summit wagon too. This wouldn’t have been possible without the SCALE team either: an excellent host to UbuCon in the past and again on this occasion. In particular Gareth Greenaway and Ilan Rabinovitch, who are helping us with the logistics and organization all along the way. If you are joining the Summit, I very much recommend to stay for SCALE as well! On the next few weeks we’ll be sharing more details about the Summit, revamping the global UbuCon site and updating the SCALE schedule with all relevant information. 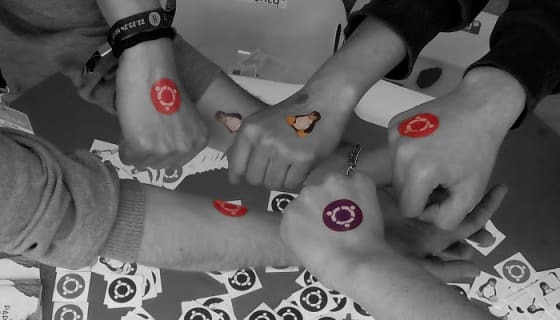 Stay tuned for more, including the session about the UbuCon Summit at the next Ubuntu Online Summit in two weeks. Looking forward to seeing some known and new faces at the UbuCon Summit in January! The post Announcing the UbuCon Summit appeared first on David Planella.